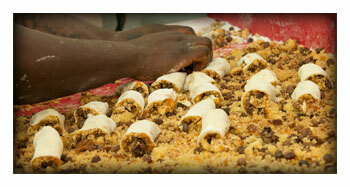 Lee Lee's Rugelach | The most outrageously delicious homemade rugelach in New York! 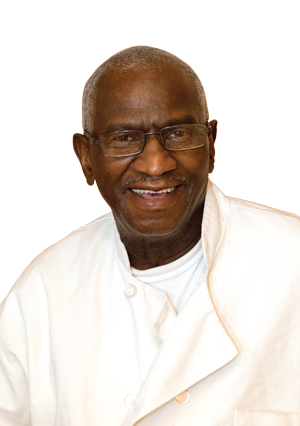 Alvin Lee Smalls (known affectionately in the Village of Harlem as Lee-Lee or Mr. Lee) has a passion for baking better-than-store bought goodies; his Rugelach are made from only the best all natural ingredients. 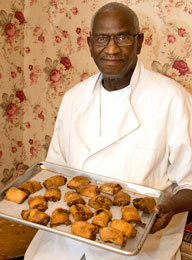 He’s put his own twist on tradition to bring you his critically acclaimed Rugelach. One taste will transport you to a world of true indulgence. Let our time-honored tradition become yours! I had some of your rugelach at a wedding in Long Island City a few days ago. Fantastic! My Jewish grandmother from Borough Park did not make them any better. Where else but in NYC can a black baker make a Jewish pastry that is as good (really better) than most other versions? And the amazing thing is that this is the sort of thing that is quite normal for New York. The first time I went, the owner came out and apologized for not having any. A tour group had came in and bought out the entire morning supply. I took that as a sign that this was the place for rugalach. I got a baker’s dozen the next time I came and shared it amongst my friends. I feel like it’s the highest form of Jewish flattery that they said it was better than the ones their bubbi grandma makes. It was light and rich and just delicious. Will def go for more when I want a sugary pick me up! The rugelach is hands down the best these Ashkenazi Jews have ever had. …Perfect texture-flaky, slightly crunchy outside-caramelized raisins-some kind of sublime cinnamony goo nestled within. Worth a trip. If you are looking for homemade, quality baked products then this is the right place for you! …Mr. 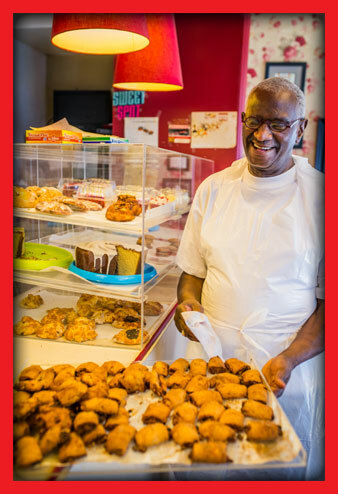 Lee is a one man operation run by a dedicated gentleman with a passion for baking. 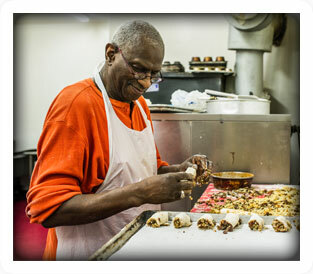 Best Rugelach in NYC: Lee Lee’s Bakery located on 118th street off of FDB. 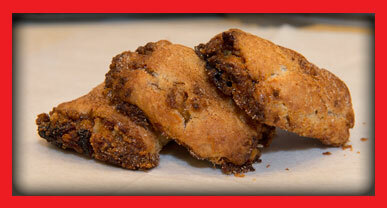 The most outrageously delicious homemade Rugelach in New York!